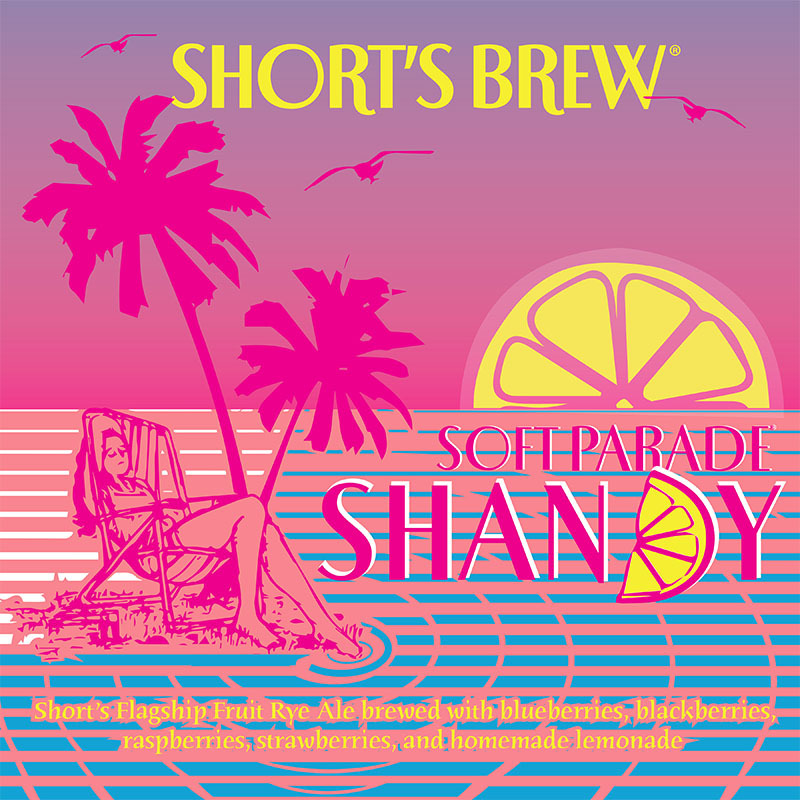 Soft Parade Shandy is a blend of Short’s flagship Fruit Ale, Soft Parade, and homemade lemonade. This beer is raspberry in color and smells like fresh berry lemonade. Soft Parade’s signature berry flavor is enhanced by the addition of citrus. Soft Parade Shandy finishes with the faint taste of fruit candy. It is light in body and very refreshing.